As the PAC industry anticipates yet another change in July 2016 with the revision of the CMS “5-Star Rating System,” HealthPRO®/Heritage offers an innovative, solutions-oriented approach for PAC operators based on (1) a keen understanding of how the “5-Star Rating System” works, and (2) expertise in developing impactful clinical initiatives and programs that ultimately enhance key drivers of quality care. PAC operators who are focused on how to either maintain or improve their Star Rating have good reason to be concerned. The original purpose for the “5-Star Rating” system was to provide residents and their families with an easy way to assess nursing home quality, and make meaningful distinctions between high and low performing nursing homes. However, with the onset of healthcare reform and value-based purchasing, a facility’s 5-Star Rating has other ramifications. For example, in order to participate in CJR, a facility must have maintained a 3-Star Rating or better for 7 out of the last 12 months. Likewise, a facility’s Star Rating will likely have a significant impact on being included in ACO partnerships and bundled payment initiatives. While earning a 4 or 5 Star Rating has always been a nice advantage, the 5-Star Rating may likely effect a facility’s ability to survive in today’s era of health care reform! As of July 1, 2016, sixteen different Quality Measures, or “QMs” that reflect clinical outcomes for both Short-Stay and Long-Stay residents. As of July 2016, two important changes will take place: (1) CMS will take into account five additional Quality Measures, and (2) in some instances, QM performance will be based on Medicare billing (rather than only the MDS assessments). This has important implications because facility staff must understand coding nuances to avoid mistakes that could result in poor QM ratings and subsequently low 5-Star Ratings. For example, as with coding for UTI, pressure ulcers, and falls with fractures, these areas specifically have detailed criteria outlined in the RAI manual and could lead to incorrect scoring if not followed exactly. HealthPRO®/Heritage views these changes in the 5-Star Rating System as a “roadmap” for how to best satisfy CMS-defined requisites AND boost quality of patient care. Our approach has focused on designing and implementing robust, therapy-driven clinical programs and initiatives which directly align with the criteria reflected in CMS’s Quality Measures. By linking these evidence-based practices with the expectations defined in each of the 16 QMs, our customers become more strategic and intentional in how they can drive their Star Rating. The results of this direct approach have been overwhelmingly positive; with stronger evidence-based programming and the proper tools in place, facilities are able to better track and report out on improved quality of care that serves to directly impact Star Ratings. Clinical programs and assessment tools should be implemented to specifically address each of the 16 Quality Measures. For example, HealthPRO®/Heritage works to customize clinical strategies for each of the following five QMs with associated clinical solutions. These examples should serve to demonstrate a straightforward approach to linking CMS’s expectations with executing on clinical resources. "Defying Gravity" is HealthPRO/Heritage's proprietary program; it offers sophisticated training for all staff on issues related to mitigating risk of falls. 1) HealthPRO®/Heritage recommends knowing details related to your current 5-Star Rating and how your facility is being benchmarked against peers. This information is readily available (as with a subscription to Avalere) and should be a critical piece of the puzzle for any strategic plan. 2) Now that some QMs will be based on Medicare billing, accuracy of how these interventions are coded is more important than ever. For example, HealthPRO®/Heritage recommends a clean, triple check process that may require interdepartmental collaboration and consultation with the facility’s EMR vendor. Additionally, staff training and revision in QA procedures may be necessary. 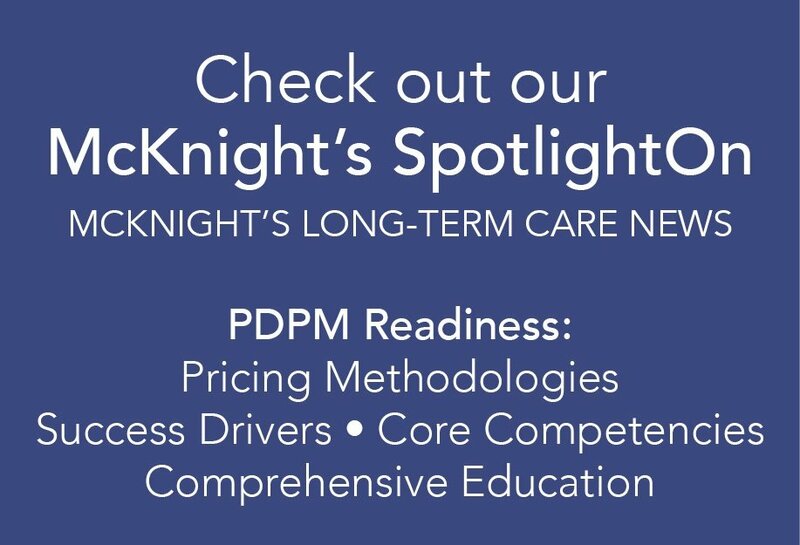 3) Leverage/share information about strategies in place so as to build credibility and establish the perception of meeting the expectations of what a “preferred partner” and/or “high quality care center” can offer a cross continuum partnership. 4) The importance of a well-coordinated, interdisciplinary approach is the foundation on which a facility can build a better Star Rating. Nursing and rehab teams must work together to ensure care redesign strategies take hold and to avoid duplication of services. Shared assessment tools and standards of care must be aligned, as well as skilled documentation practices (especially in the referral process) are also important. 5) It is perhaps unconventional for a therapy management firm to claim they can help improve their clients’ 5 Star Rating. On the contrary, HealthPRO®/Heritage is committed to helping our post-acute care operators to deliberately optimize their 5 Star Rating, one Quality Measure at a time!